It just got harder to get John Muir Trail Permits. On February 2, 2015, the National Park Service issued a new exit quota system for John Muir Trail hikers. The interim quota will limit the number of hikers exiting the Yosemite Wilderness over Donohue Pass to 45 per day. To Donohue Pass. Photo from my JMT Set on Flickr. What does this mean for hopeful JMT hikers? 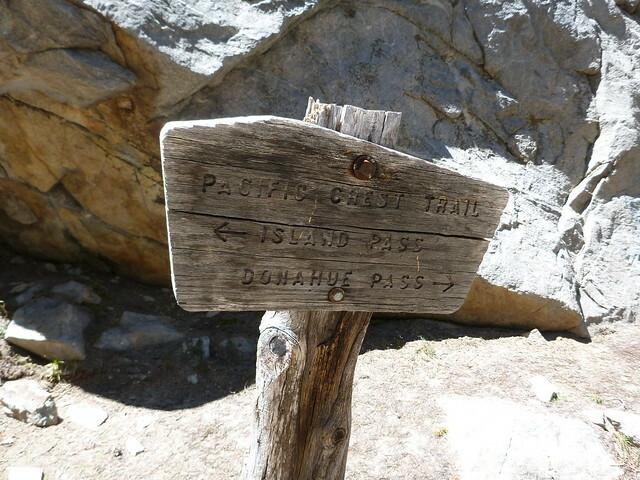 Most hikers will cross Donohue Pass, the border between the Yosemite National Park and the Ansel Adams Wilderness, from three to four days from Happy Isles. Allowing only 45 exiting hikers allows for considerably less traffic than in past years. The NPS reported a daily maximum of 79 hikers in 2013, followed by 77 in 2014. Those numbers reflect hikers clearing Donahue pass during the peak season—mid-July through early September. In order to get the appropriate exit permit, a hiker must start at Happy Isles, Glacier Point, Sunrise Lakes, or Lyell Canyon. And at the time of this writing, only Lyell Canyon has walk-up permits (and only 10 per day). While I like the idea of making more of Yosemite available for non-JMT hikers to enjoy, this means that for the foreseeable future (“… until a more holistic and comprehensive approach can be developed through a larger planning effort.”), getting a permit to hike the JMT will be challenging. Read all the details at the National Park Service JMT FAQ Page.